​LeBlanc Consulting was founded on September 1, 2011 by people with love ones who were living with disabilities. We are an agency that's dedicated to providing quality supportive services and training skills vital to personal and family system development for developmentally disabled children and adults. We come with years of Experience and Expertise in the areas of service for our clients. Therefore, we are more than happy to be of service to "our people". We are an organization dedicated to offering services for English, Chinese, and Spanish speaking individuals by providing our clients with the supports necessary for them to be contributing members of society and their chosen communities. Our team of quality instructors, facilitators, coaches and cheerleaders assist with developing and maintaining circles of support, appointments, grocery shopping and anything it takes to help our clients to live side by side in the community with their non-disabled peers. 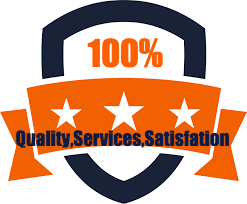 If you can't tell by now that we are absolutely passionate with providing excellent service then scroll down or click here to read more. Our mission is to provide children and adults with developmental disabilities a variety of supportive services by promoting education, training, and self-advocacy all while respecting our clients voice, choice and thought process. Our goal is to empower every individual to embrace their roles as productive members of our society and their communities by building a personalized network of resources and tools to help our clients achieve their goals. Our purpose is to assist in the pursuit of meaningful short term and long term goals. Overall, we assist with both personal growth and family systems development. We believe that organization, discipline, and structure starts at home! LeBlanc Consulting was founded in Loving Memory of our Beautiful Sister Sandy & our Courageous Mother Joanne. Please think of them when you are providing services, therefore, demonstrate compassion and care about our clients like you would your own mother or sister.